Are you having trouble locating resources for RL3.9 (Point of View)?? For this standard, I really could NOT find any suitable materials to teach this new standard in third grade. Most teachers quickly think that point of view means identify first or third person speaker. Not the case! Now, the standard has the students identify the points of view of different characters or the author AND identify their OWN point of view. With that in mind I developed a PowerPoint that essentially does that. Using well known fairy tales, I had 2 characters from each fairy tale explain their points of view. Then I had the students identify their own point of view. 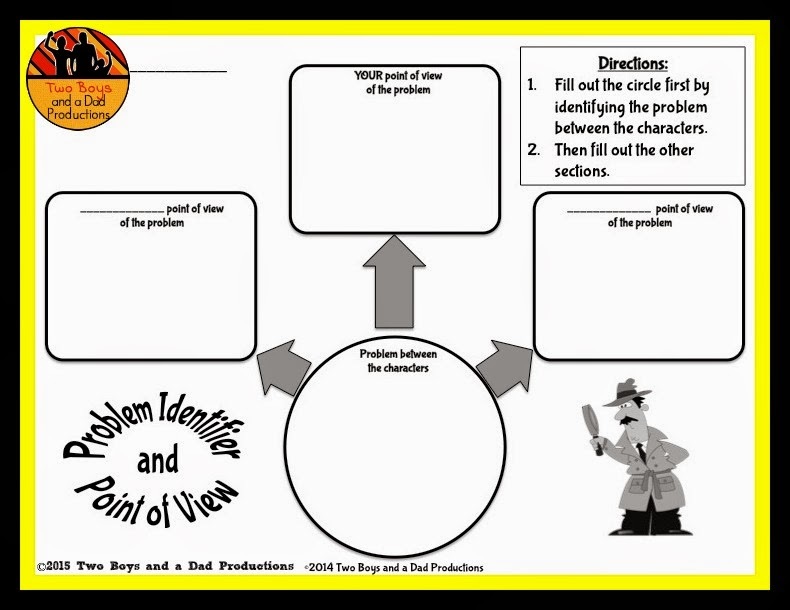 By using well known fairy tales, students know the characters well enough that they were able to wrap their heads around the concept of point of view. Graphic organizers are also included to help the students take notes and then make the jump to comparing and contrasting points of view, including their own. 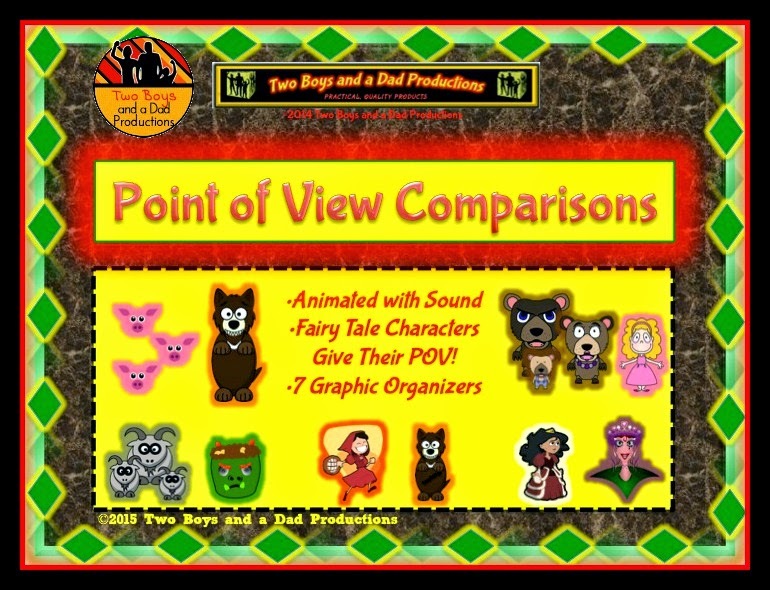 Below is an animated GIF (just hit play) of part of the Powerpoint I developed (the GIF does not show any animation or sound effects which are included in the powerpoint). It shows the process I took the students through with one of the fairy tales.